The Q-Tron Plus is an enhanced envelope controlled filter. With the same design as the original Electro Harmonix Q-Tron but with an extremely useful Effects Loop and an Attack Response Switch, this pedal is a very powerful tool for musical expression. The Effects Loop gives the musician the ability to place an additional effect, or chain of effects between the Q-Tron Plus's preamp and filter section without changing the envelope drive. This is particularly important with most distortion devices, as most all do not have much of an amplitude envelope. The added Response Switch selects between a slow, smooth, vowel-like attack and the fast, snaked response of the original Q-Tron. The FX loop will also fire up your creative juices, there are countless conbinations for you to try, especially when you link the Q-Tron Plus up with other Electro Harmonix effects pedals. When used properly the Electro Harmonix Q-Tron Plus will provide a lifetime of playing pleasure, with a wide variety of electronic instruments. 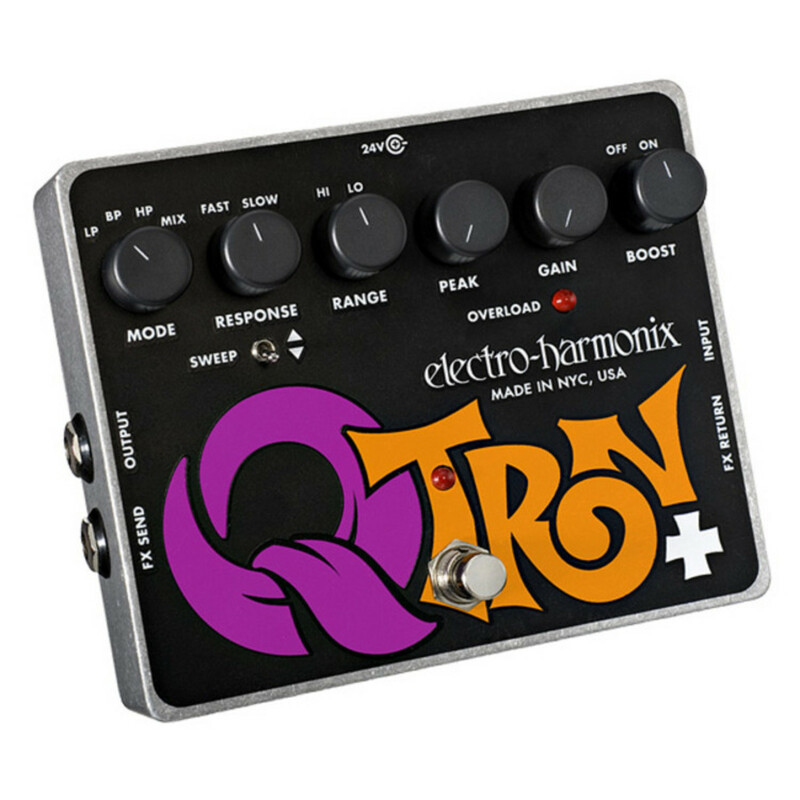 For further information about the Electro Harmonix Q-Tron Plus, please download the instructional PDF file from the link below.